If you want to change the general information or attribution such as the dataset title or licensing information, you will need to modify the metadata. In order to edit a dataset's metadata, you need to have the necessary permissions. There are two ways to access the metadata page for editing. 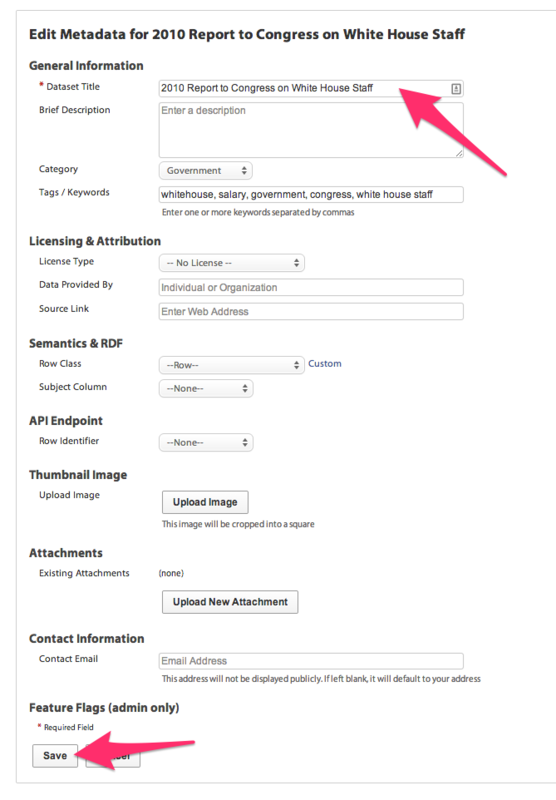 You can access the metadata page through Primer by selecting "Edit Metadata".